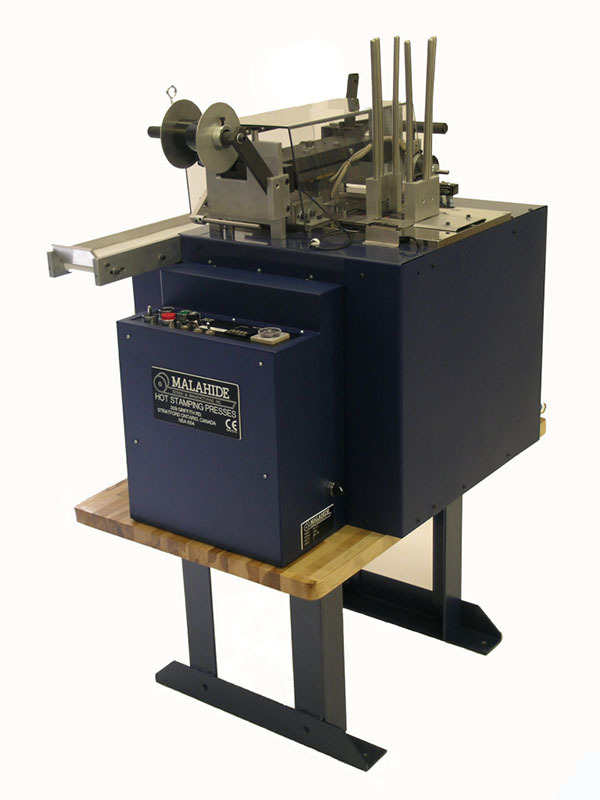 The Malahide by Spartanics E4-CC Plastic Card Hot Stamping Machine is designed to hot stamp plastic card blanks. The E4-CC Plastic Card Hot Stamping Machine can apply four principal foil stamping applications to plastic cards: foil stamped graphics, scratch-off patches, signature strips and holograms. One of the notable features of this plastic card hot stamping machine is its quiet and smooth operation while running at speeds of up to 6,000 hot stamps per hour. The E4-CC Plastic Card Hot Stamping Machine is equipped with a number of great benefits including a highly efficient registration system that is able to register each card to itself. This allows the hot stamping press to re-register each card to the same position each time, every time which ultimately results in consecutive precise placement of hot stamped graphics, signature panels or/and scratch offs. Another benefit of the Malahide by Spartanics Hot Stamping Press product line is that they are all-electric machines, not pneumatic like other hot stamping presses; eliminating the need of a high-end air compressor. Detailed information about components and operations of the E4-CC can be found on the Plastic Card Hot Stamping System Resource Page. For general hot stamping information in regards to dies, artwork and foil, visit our Hot Stamping Applications Page.